Situated immediately below adamantium shield of The Wall lays Hive city. A hugely sprawling metropolis in its own right, it nonetheless pales in comparison to the splendor and wealth of The Spire. 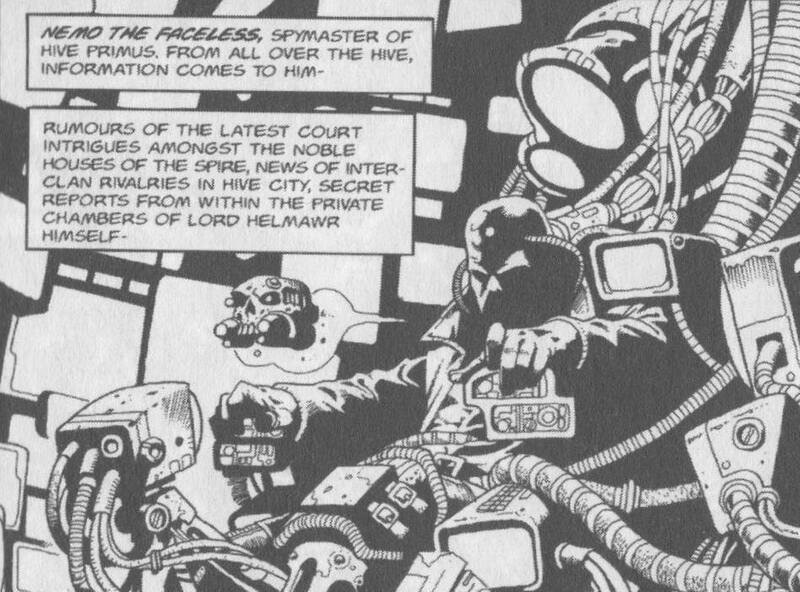 The six great houses rule here –Cawdor, Delaque, Escher, Goliath, Orlock and Van Saar control virtually everything in what is the true seat of manufacturing power in Hive Primus. Though undoubtedly safer than the Underhive, Hive City is still quite dangerous to the unwary. Nemo the Faceless is a powerful information broker in Hive Primus. No one has ever seen his face, as he wears a mask, rumored to be of Xenos origin, which disguise his features. Nemo is extremely powerful, very influential, and totally ruthless in pursuit of his goals. He is also, unbeknownst to virtually everyone on Necromunda, a trusted agent of the Inquisition. While Nemo is not an Inquisitor nor even an Acolyte, he reports any heretical or xenos outbreaks to them and receives the occasional directive and support. Throughout the first campaign arc, Nemo will be feeding the players various mission objectives, and at the conclusion of the arc will recommend the players to the Inquisition as Acolytes. Count DeMonet is, like many Guilders, a decadent and corpulent man. He is however by no means soft or kind-hearted. His trading interests in Hive City are expansive, and he jealously guards every last credit. Over the last several weeks, a number of his trading caravans and warehouses have mysteriously been lightened of their loads, and just the previous evening yet another of his warehouses in Dust Falls reported a major theft. DeMonet is furious, and has put out a request for investigators – Nemo, with his finger on the pulse of Necromunda is sending the players to investigate, gather what information they can, and if at all possible deal with the situation. Hieronymus is an older gentleman introduced to the group during the meeting with Nemo the Faceless. He works for Nemo as a Chirurgeon and has patched up one or more of the players in the past. During their time on Necromunda, Hieronymus is an NPC and the players may call on his services for healing, cybernetic replacements or funereal services, and will accompany the group at the end of the campaign arc as a potential PC. A servo-skull is a drone-like device created by the Adeptus Mechanicus from the skulls of pious Imperial servants, so that they may continue to labour in the Emperor’s cause, even after death. They are fitted with small anti-gravity engines which enable them to float, and each is designed to perform a specific task. Nemo assigns the group a hunter skull so they may communicate their findings and also allows Nemo to keep tabs on the group. House Orlock is known as the House of Iron because its foundations lie upon deep ferrous slag pits. The hivers mine these pits for the debris of ancient times and extract enough pure metal from the refuse to serve their industries. Over the centuries extensive mining of the slag has caused some lower domes to collapse. In the past this led to hivequakes and the destruction of several overlying domes. For many centuries the House has fulfilled the Ulanti Contract, a lucrative deal by which one House supplies the core requirements of the Ulanti Noble House. Previously the contract was supplied by House Delaque, but the Orlocks usurped the position by bribing Underhive gang raiders to destroy fuel lines into a Delaque guild factory. Since then the two Houses have taken every opportunity to discredit each other. Five years ago Lord Hagen Orlock was assassinated by the Delaques and relations between the Houses have never been so tense. 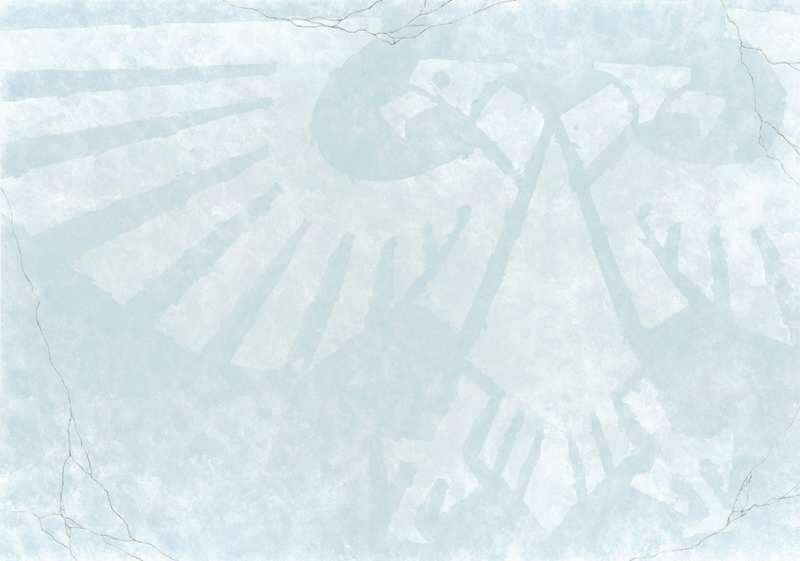 House Delaque benefits from a special understanding with the Imperial House of Helmawr, providing not just materials but also information to the rulers of Necromunda. Delaque spies are said to operate throughout the hive, observing the activities of the other Houses. It is rumored that some of the ruling family members of the Houses, and even some Noble Houses, are in the pay of the Delaque. Other Houses are suspicious of the Delaques. Their appearance perpetuates their reputation for double-dealing and espionage. They traditionally wear long coats in which they can easily conceal weapons and other large items. Most are very pale and bald headed. Their whispering voices are thin and eerie. Many wear dark visors or implanted filter screens to protect their sensitive eyes – an intolerance of light being a common Delaque weakness. Although the entire hive is eerily dim, the territory of House Delaque is particularly dark and shadowy as befits a people whose motives and methods are shrouded in mystery. The Foothold Situation is the start of a series of events which will ultimately lead to a fight for the very existence of the Hive. Warp space is collapsing close to Necromunda and generating unexpected and unknown occurrences. As a result, more and more chaos cultists, impure characters, and creatures are racing to Necromunda to get a piece of the action as they recognize the signs of the imminent eruption of Chaos. Multiple portals to the unknown have been reported to the Enforcers (which they are trying to deal with as best they can), while the Guilders, unaware of why it is happening, are in a quandary as to how all their products are disappearing from their warehouses and stores and getting into the hands of their customers without paying. Nemo has organized a meeting between the players and the Guilder representative Count Rabalius DeMonet, most recently affected by the sudden disappearance of his merchandise, right from under the noses of his guards. Unbeknownst to the players (at least at this point in the adventure), Nemo the Faceless is in fact an agent working for the Inquisition – while not an Inquisitor himself, he monitors the happenings in Hive Primus and provides regular reports to the Inquisition. Enter the players – each has been hired, blackmailed, suborned or tricked into working for Nemo the Faceless, a powerful infochant in Necromunda and have served him well in the past. Following the meeting, the players are given directions to Count DeMonet’s compound, downhive near the border of the Underhive. The players must make their way across Hive City and deal with any encounters along the way. In response to your earlier alert, I have the following information for you. Sweeps by the Adeptus Telepathica indicate multiple, but weak signals from the sector you are indicating for attention. Peaks were detected in warp-field fluctuations but they are not considered to be signs of imminent ruptures. As of yet we do not believe there is any significant threat, but that does not mean you should relax your vigilance. The mechanisms of the Great Foe are many and subtle, and you must always be on your guard. Be assured that we are monitoring the situation and should any signs become prevalent we will initiate the appropriate procedures. Chapter 1, Scene 2: That is NOT my dog. As the players make their way to the meeting with Count DeMonet, they encounter members of House Delaque in discussions with a man who is obviously a Wyrd. Suddenly the Wyrd pales and gasps as number of shimmering rents in the very air tear open nearby. The light from these tears is unholy and from them spring a number of vaguely doglike shapes, leaping towards the Wyrd. If the players do not intervene, one of the Astral Hounds will leap to attack any psychic PCs. Assuming the players survive the encounter, the Delaques will relate some information regarding these sorts of incursions becoming more frequent. 1D6 Astral Hounds appear and assault a group of Delaques and the Wyrd with whom they are in negotiations. At least one Astral Hound will attack any psyker PC as well. If the players manage to save the Wyrd, he will explain in greater detail the psychic nature of the attack and offer his theories on current events. If the Wyrd is slain, the Delaques will offer their (less accurate) interpretation of recent events. At this point in the chapter, the denizens of Necromunda know that something strange and disturbing is happening. Rumors abound and the local media has too much to report to report it all accurately, resorting to spin and hyperbole, which isn’t that unknown in the media. During this portion of the campaign prominent Guilders, Noblemen, and innocent gangs are suspected of harboring valuable stashes or have something the attacker wants. It is during this time the players meet with Count Rabalius DeMonet and are tasked with investigating the scene of a recent spate of disappearances at one of his warehouses in Dust Falls. They must travel downhive to do so, picking up various tidbits of information along the way. Some if the information is spot on, some is distorted and some is outright fabrication, but each gives the players a contact or location to visit once they reach Dust Falls. The instructions given by Nemo leads the group to a club near the border to the Underhive. Inside the building is a riot of noise and color, filled with dangerous looking men and women. DeMonet is taking meetings in the VIP section of the club, and the players will have to wait for him to become free. Here the players may search for information and contacts amongst the crown prior to meeting with DeMonet. The players will discover they are not the only would-be investigators interested in the reward DeMonet has on the line – 2000 credits. Once the group dissuades the other interested parties, and once introduced with DeMonet, he will explain his needs to the group. Secretly, DeMonet has been dealing in illicit Archeotech smuggling and an entire shipment of priceless artifacts were removed from his warehouse in Dust Falls. As it represents profits in the hundreds of thousands of credits, he is furious and will explain that in addition to recovering the artifacts, he wishes to hire the players to kill the thieves. At this point neither DeMonet nor the players know that the thefts were related to the recent upsurge in cult activity. DeMonet will advise the players that there is a MagLev tube that will take the players to Dust Falls, and will point out the tube system is one of the reasons that Dust Falls is such a stable community. He will answer any reasonable questions about the locale and setup of the warehouse, and will provide a brief overview of the town. He’ll also point out that the player’s Throne Gelt is no good in the Underhive, and will, for an appropriate fee, act as a moneychanger. The usurious rate he offers them is 5 Gelt per credit (a rough average of common items values, by no means scientific in the least), which will allow the costs and availability charts from Necromunda to be used. Notable exceptions to the rule as follows, and availability of these weapons is at GMs discretion: Melta Gun, Plasma Gun, All Power Weapons, Plasma Pistol. The lethality of these weapons in RP make the costs absurdly low on the Necromunda weapons charts, and should be roughly 8x more expensive in credits than listed (i.e. a Power Sword should cost roughly 464 credits to maintain approximate cost parity with 40K:RP). Once the players have exhausted their leads and head for the Maglev Lines, the story continues in Chapter 2.